Barack Obama melted hearts all over social media after sharing a festive photo with wife Michelle to wish everyone a Merry Christmas. 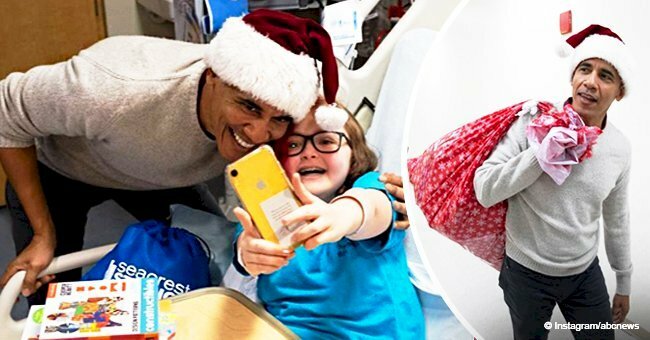 The former president recently made a surprise visit to a children’s hospital ahead of the holidays, and he arrived bearing gifts with a Santa hat. Barack and Michelle Obama look picture perfect on a recent photo shared by the ex-commander in chief to Instagram. 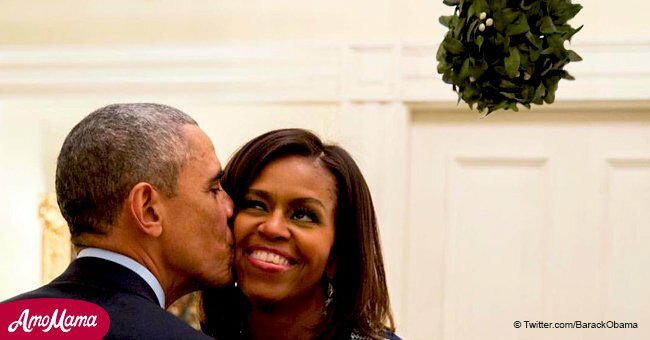 The adorable shot depicts Barack kissing his wife’s cheek while they stand under a mistletoe. “Enjoy the holiday season with the ones you love. Michelle and I wish you a very Merry Christmas!” Obama captioned the picture. According to former White House photographer Pete Souza, the pic was taken in 2014 at Blair House in Washington D.C. “The First Lady and I both spotted the President standing under the mistletoe, and she moved in to grab a kiss from him following a dinner for Combatant Commanders and military leadership,” Souza captioned the photo at the Obama White House Flickr page. 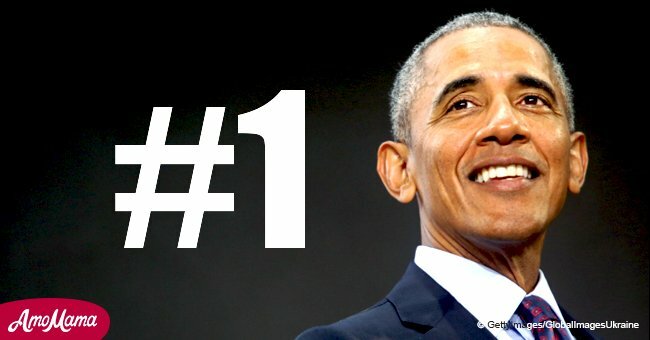 Obama made sure to give back to the community a year after moving on from the White House, and he brought a lot of joy to the kids at the Children’s National Hospital with a surprise appearance that caused tears and screams from some excited patients. 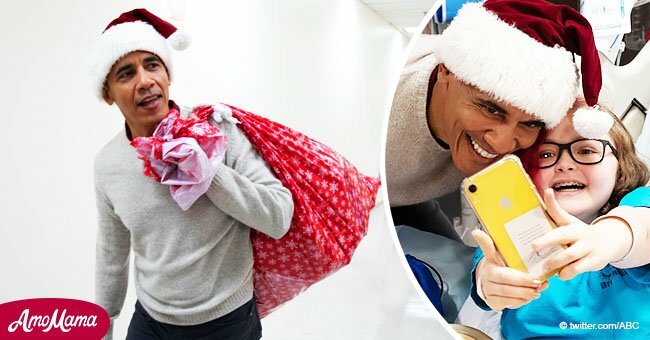 Donning a Santa hat and carrying a bag with gifts, Obama went around the hospital delivering jigsaw puzzles, dolls, remote control cars, and other gifts for the kids that would be spending their Christmas in a hospital room. Obama also made sure to thank the hospital’s staff for their invaluable job and dedication, stating that, as a father of two girls, he can only imagine how relieving must be to the parents of sick kids to have nurses and staff making sure their children feel loved despite their situation. Michelle, accompanied by Santa, got to sit in front of a crowd of kids and did an entertaining reading of the classic “The Night Before Christmas.” She also learned how to do the “orange juice” from the famous video game “Overwatch,” after a brave kid stood up to make a demonstration. 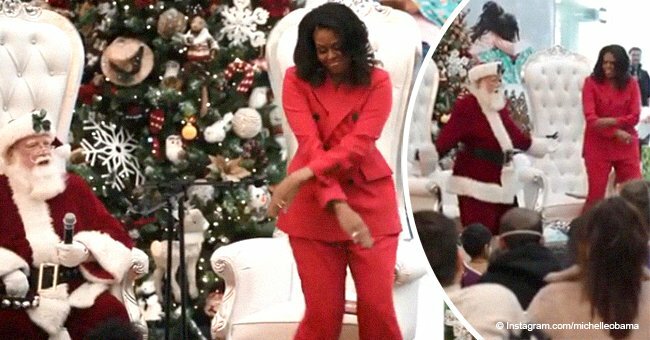 The former first lady went ahead to perform the dance move, but she made sure to have Santa on his feet too, and soon after more kids were standing up to mimic the viral dance. Jada Jordan, a 14-year-old patient, told the Denver Post that sometimes her days at the hospital could be gloomy, but Mrs. Obama visit lifted her mood. “It was the highlight of my day,” she said. Like Jada, many other kids and their parents got to have a brighter Christmas thanks to the Obama's kindness. Former president Barack Obama wishes everyone Merry Christmas with a sweet photo of Michelle.